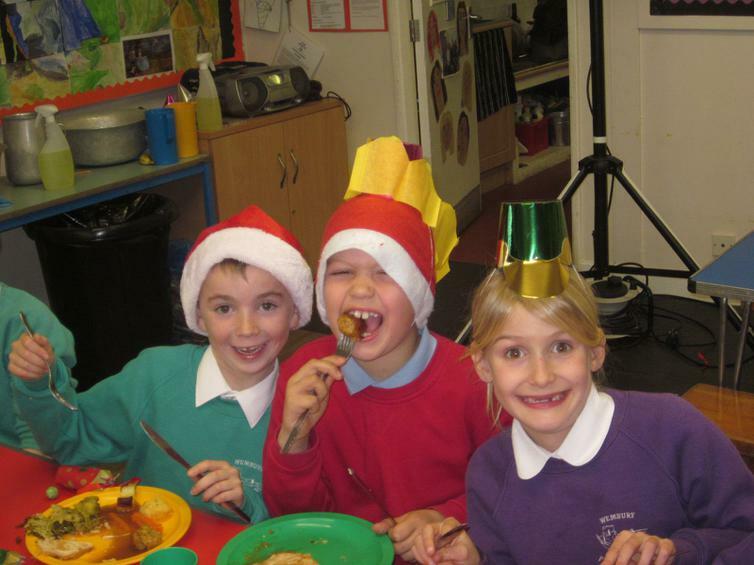 What a feast was had! 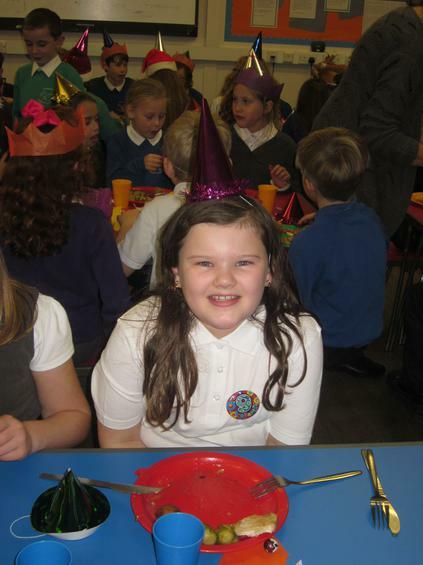 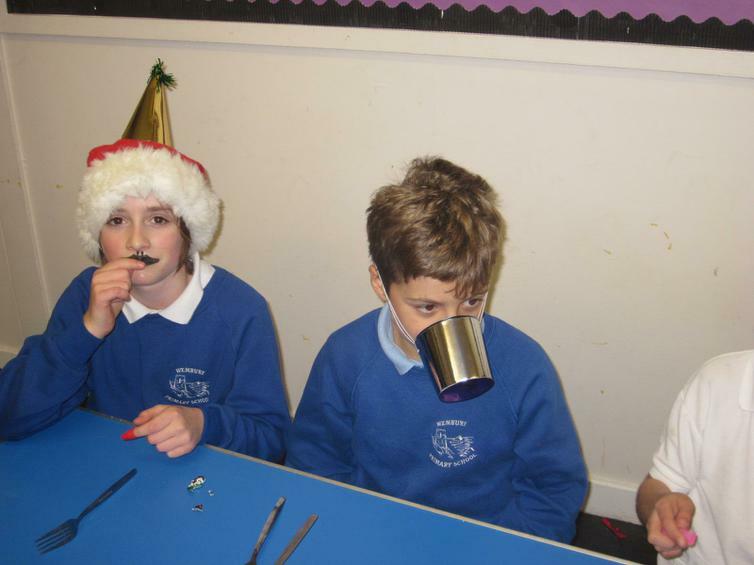 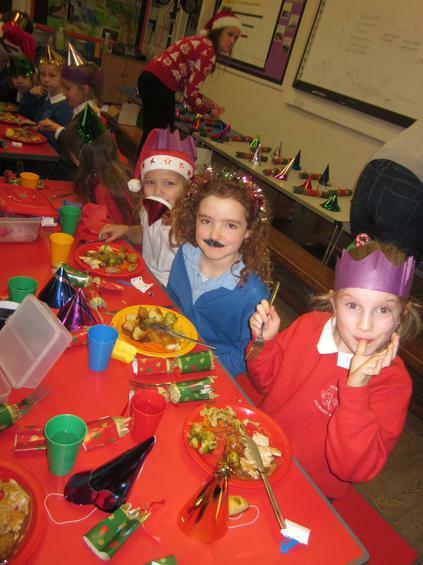 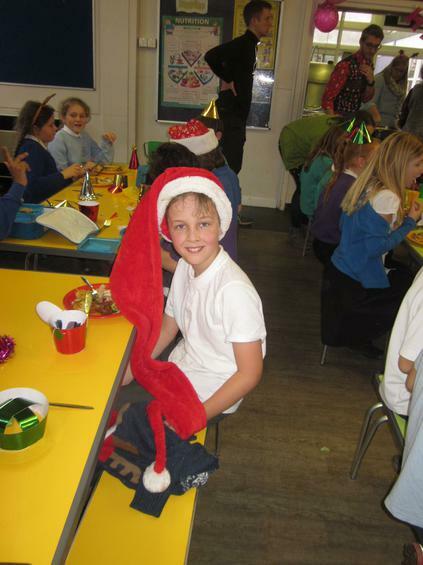 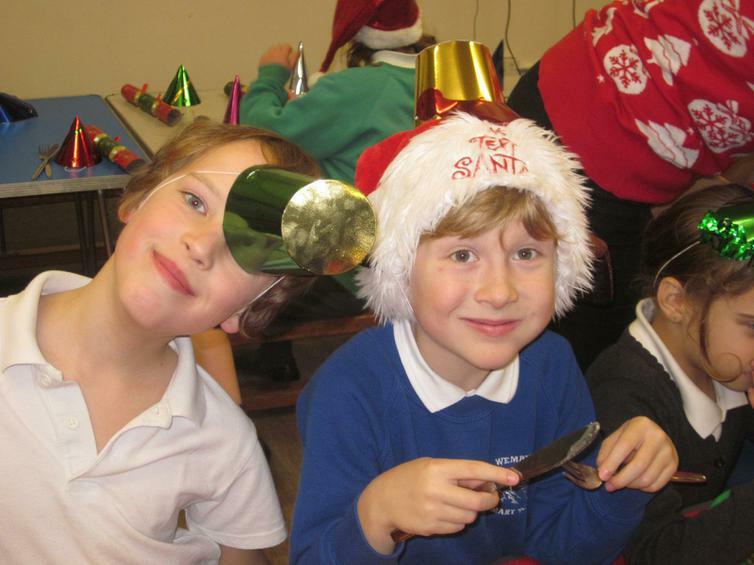 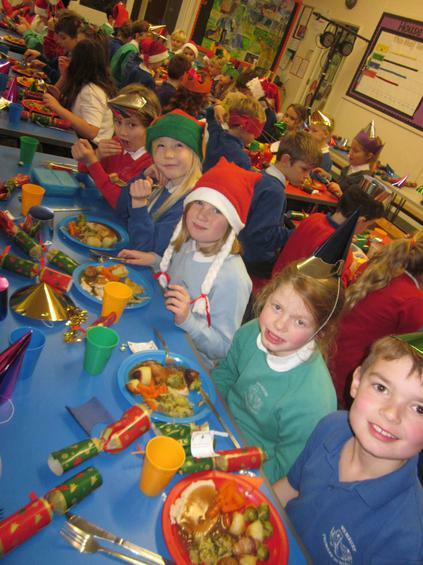 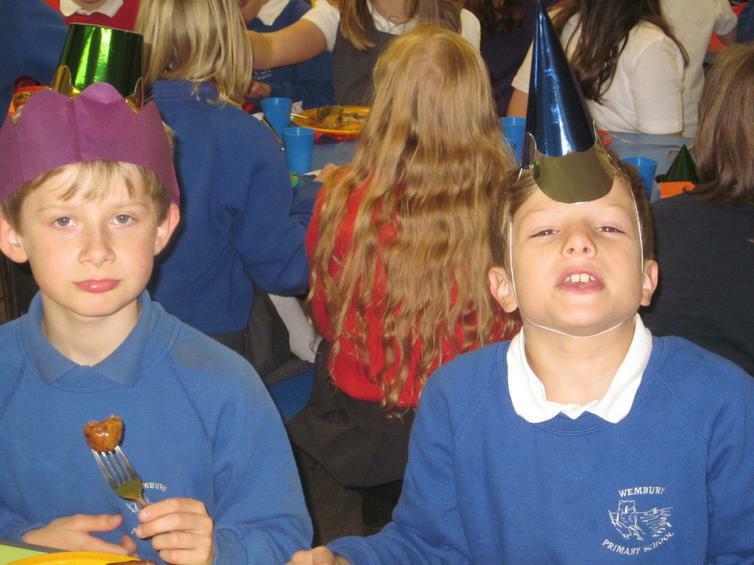 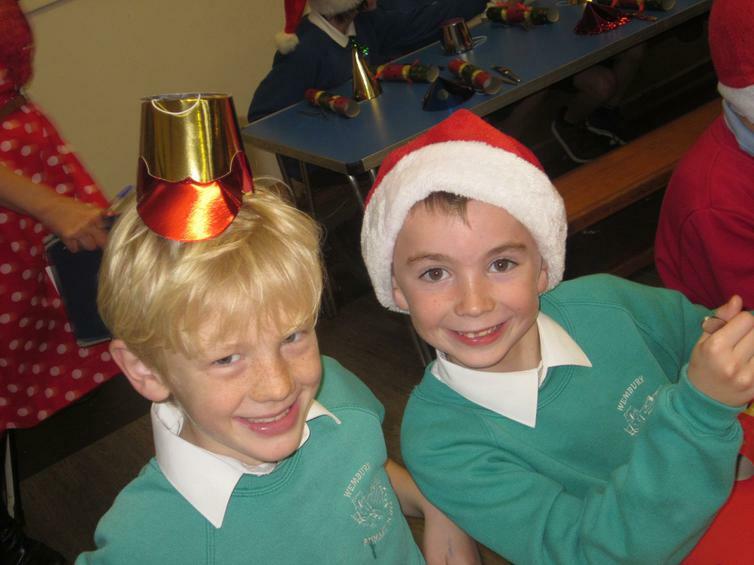 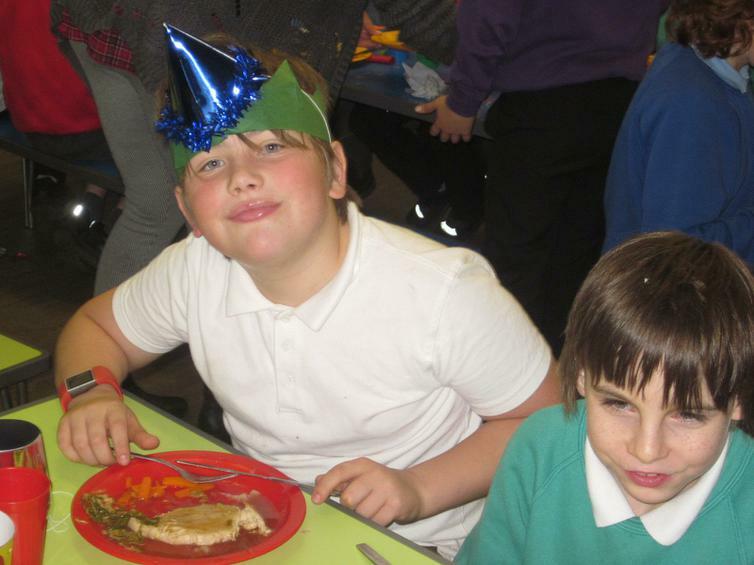 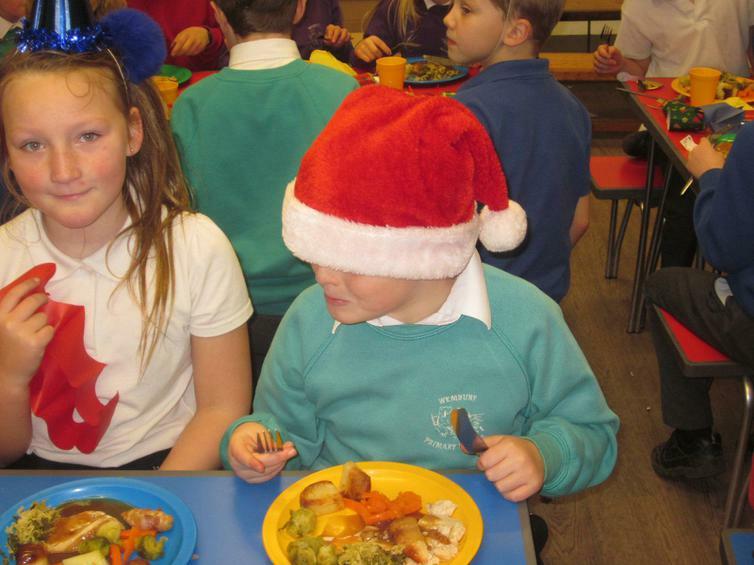 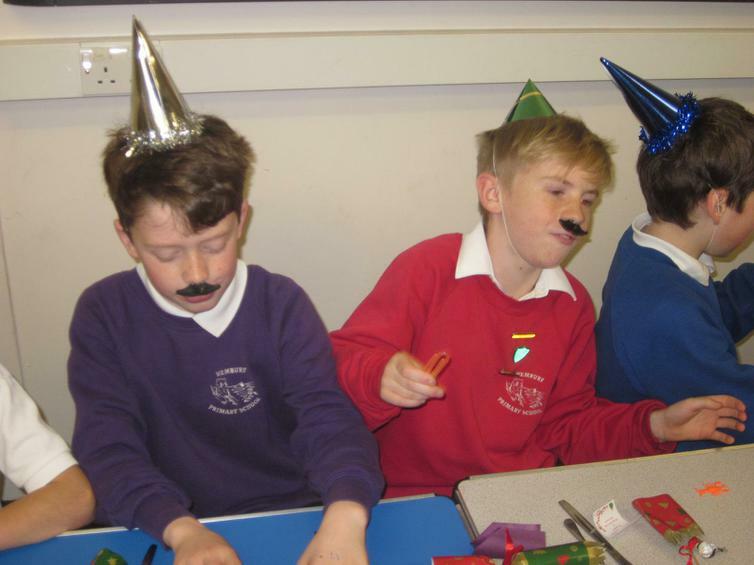 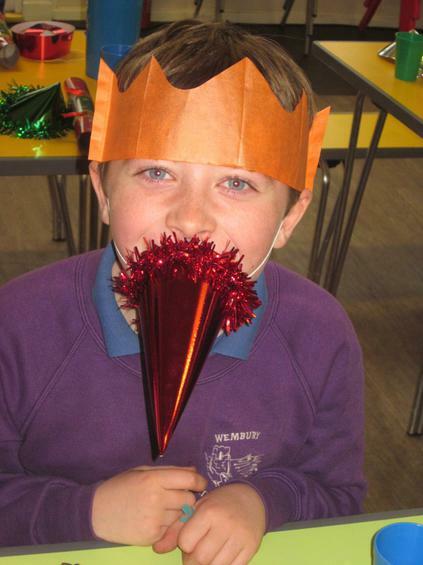 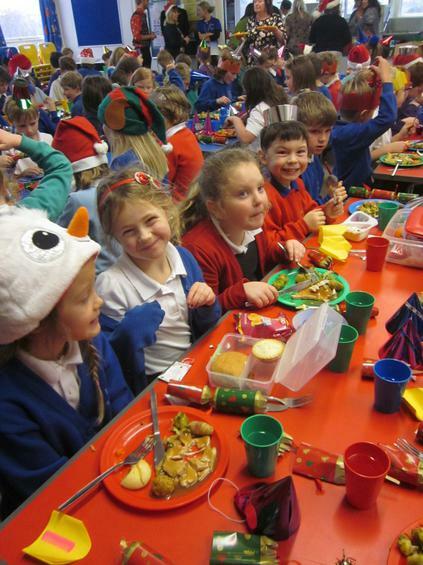 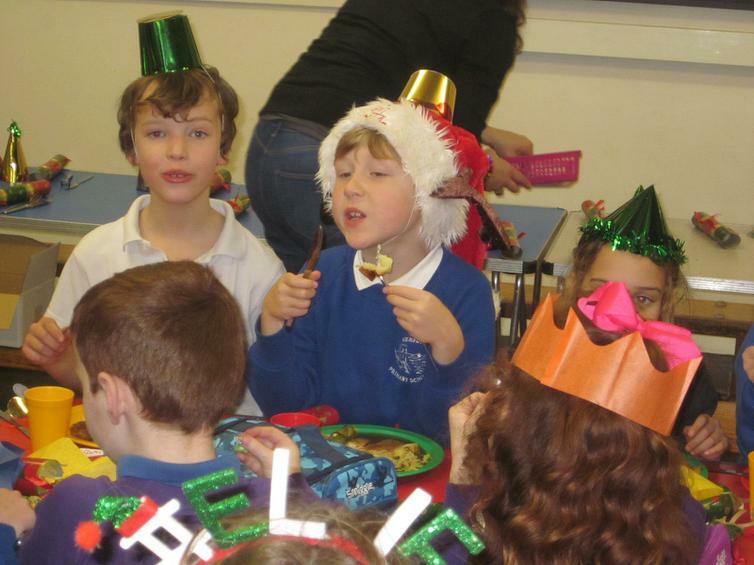 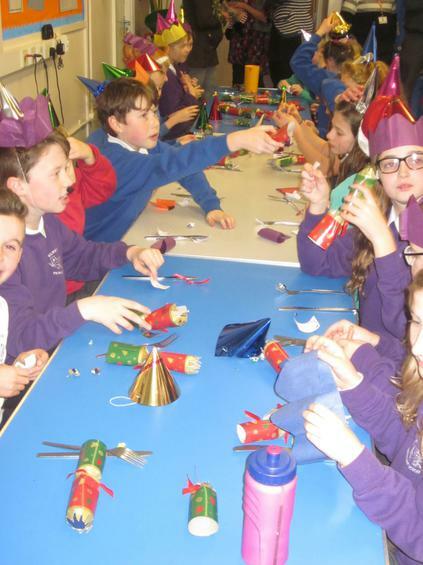 Our Christmas lunch was all the usual roast with trimmings with the additions of party hats, sweets and crackers, kindly donated by FroWS (Friends of Wembury School), who also helped to serve the meal, alongside staff. 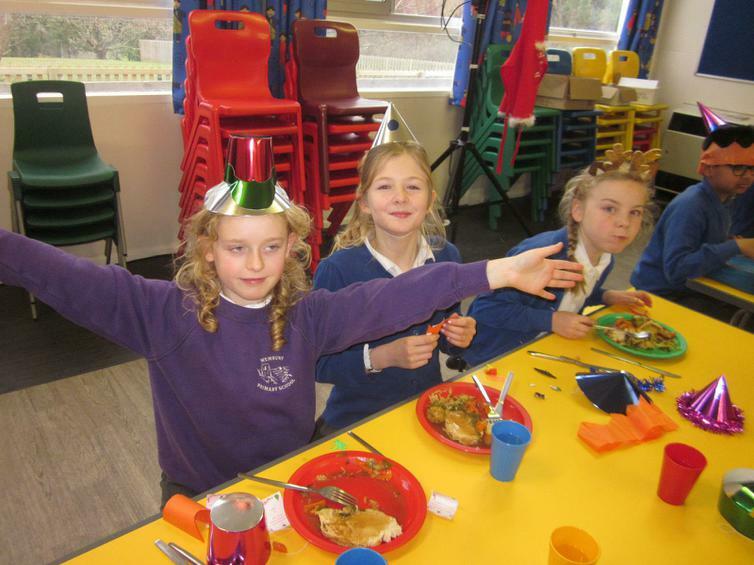 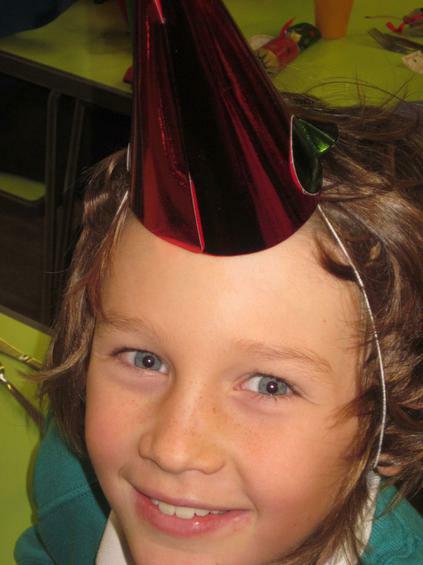 Thank you to FroWS, for adding extra excitement and treats, and a special thank you to our cooks, Sarah and Emma, particularly to Sarah who also had a 'special number' birthday! 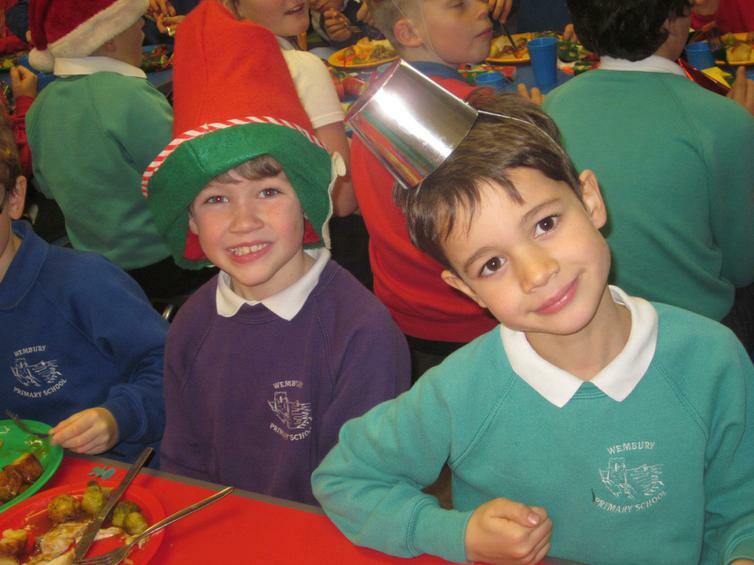 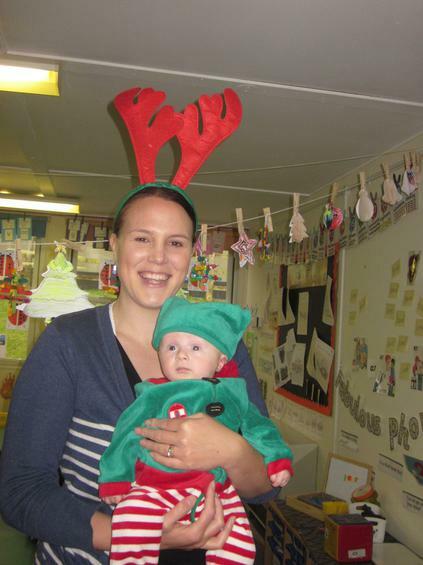 We were also visited by a little Elf (William) can you spot him?